Last year, six Community Health Workers on Ambergris Caye were introduced to the community after they were trained by the Health Education and Community Participation Bureau (HECOPAB). They are regarded as the forefront community leaders who provide preventative measures, health education and direct patients to health facilities. 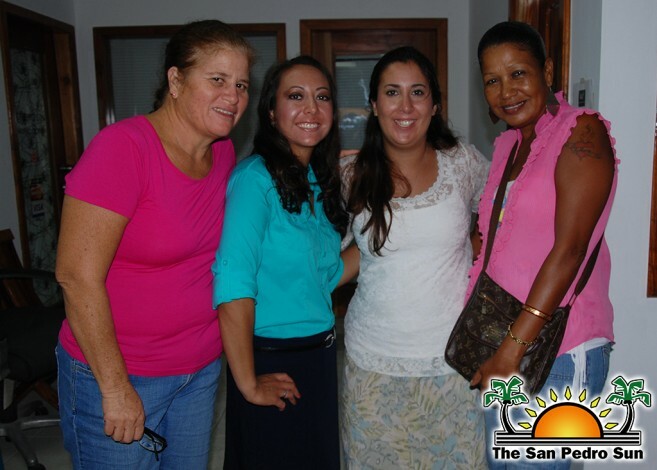 As part of their work, they are working along with the new Peace Corp volunteers currently on the island, Christina Chapman and Diana Sanchez, to strength the group. “We work under the supervision of the Dr Otto Rodriguez San Pedro PolyClinic II and we help to ensure that we live in a healthier community. We promote good health and proper hygiene in our communities. We are happy for the support of the two Peace Corp volunteers because any little help can go a long way,” said Glenda Rancheran, a Community Health Worker living in San Mateo area of San Pedro Town. The Community Health Workers plan to hold a toy drive before the Christmas season that will benefit the less fortunate children of the island. To find out more about the Community Health Workers program you can contact the San Pedro PolyClinic at 226-2536.